Our dedicated legal team are aware of recent outbreaks of illness which are reported to have occurred at the TUI Family Life Flamingo Beach resort in Lanzarote. If you or a family member has suffered from an illness that lasted for at least seven days on your package holiday, then you may be entitled to thousands of pounds in holiday illness compensation. To get your no win no fee claim on track today, simply answer a few quick questions relating to your case and start your claim online. Or if you would rather talk over the claims process in more detail with one of our dedicated legal experts, then you can do so by calling our dedicated holiday illness helpline on 0800 01 54321. 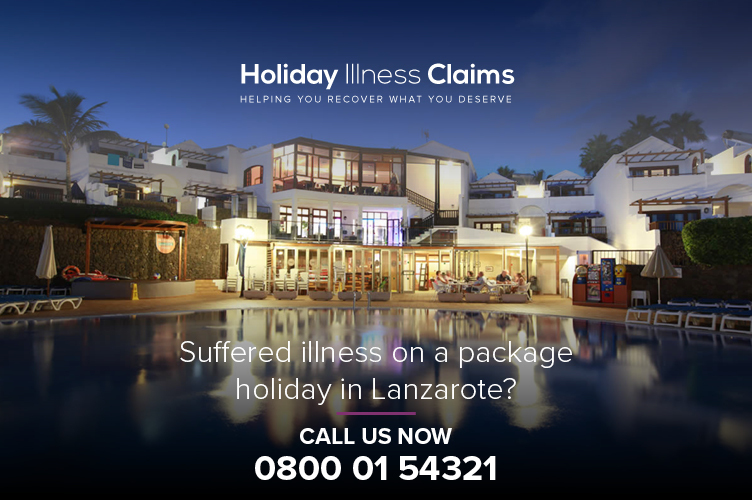 HolidayIllnessClaims travel law team have discovered multiple online reports, which suggest illness has hit multiple holidaymakers who have recently travelled to the Spanish island of Lanzarote. Whilst researching into potential outbreaks of sickness at worldwide all-inclusive resorts, the HIC team have found numerous online reports that suggest sickness has affected guests at Lanzarotes TUI Family Life Flamingo Beach. Finally our whole experience was tainted as we contracted hand foot and mouth whilst staying here. Although Thomson had issued a letter stating a chicken pox outbreak had recently occurred (no date) theres no mention of hand, foot and mouth in their announcement and after a little google search you can see theyve had a problem with the virus for quite some time now. If you want cold tasteless food then its the right place. Not much variety, they have live cooking if you are lucky enough to get anything off it. And I am wondering if the chefs know what they are doing as I did not one see anyone probe anything or take any temperatures for any off the food to make sure it is being hot held at the right temperature I am pretty sure the food is not at the right hot holding temperature and that is very dangerous. Unfortunately, for the second successive year it appears that illness has affected holidaymakers at the TUI Family Life Flamingo Beach resort. If the latest reports that we have seen are indeed true, clearly immediate action needs to be taken by both the hotel management and tour operator to stop these illness outbreaks from occurring. If you have been unlucky enough to have had a package holiday ruined by illness an illness which was caused by poor hotel hygiene, then it is crucial for you to not let sickness have the last say. Speak to one of the experts here at HolidayIllnessClaims today and reveal whether or not you can receive justice through a successful no win no fee holiday illness claim. Start your journey to justice now! If you werent aware, all claims which we handle here at HIC are done so on a no win no fee basis. This means that you will never be left out of pocket when making a claim through us, so make sure to choose Holiday Illness Claims! So launch your risk free claim today, by calling our dedicated travel law team today on 0800 01 54321. Alternatively if you are unable to discuss your case over the phone right now, you can request for us to contact you at a more suitable time by completing our online contact form.